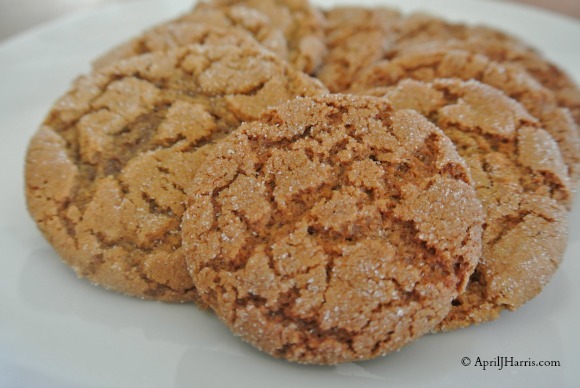 I love ginger spiced treats. 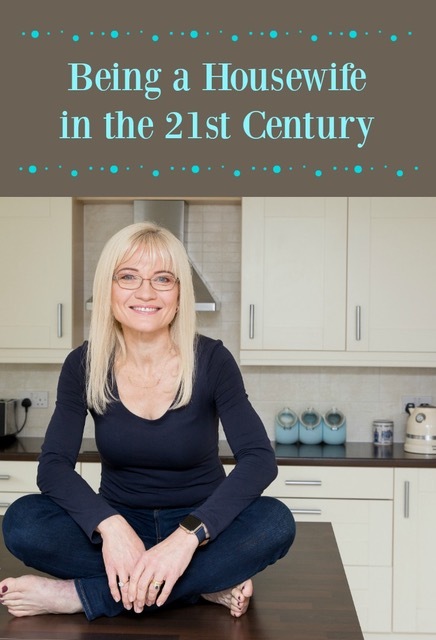 Whether it’s Banana Gingerbread with Ginger Icing, Pumpkin Gingerbread Muffins or even my Triple Ginger Pound Cake, I always enjoy a piece of something gingery as a treat with a cup of tea or coffee. 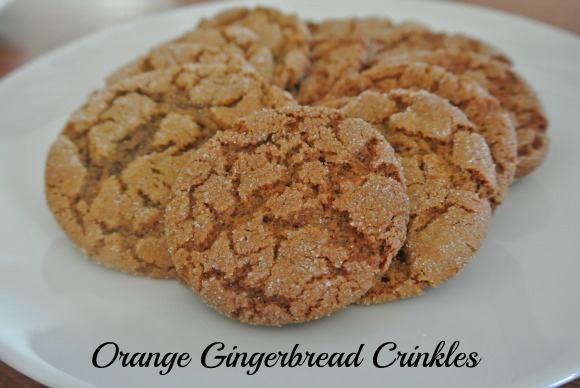 My Orange Gingerbread Crinkle Cookies are one of my favourite choices. They are by far the favourite cookie around our house at Christmas, although I generally start making them about October and don’t stop until the early days of spring! As you bite into my Orange Gingerbread Crinkle Cookies, the sugar crusted coating gives way to a tender cookie beneath. These soft, chewy cookies have a deep gingerbread flavour highlighted with a hint of orange that makes them absolutely irresistible. I’ve been making these Orange Gingerbread Crinkle Cookies for over five years now. My husband takes them to work, my son shares them with friends and I’m often asked to bring them to holiday parties. They are perfect with a glass of milk or a hot drink. Some folks even like them with a wee nip of whiskey! 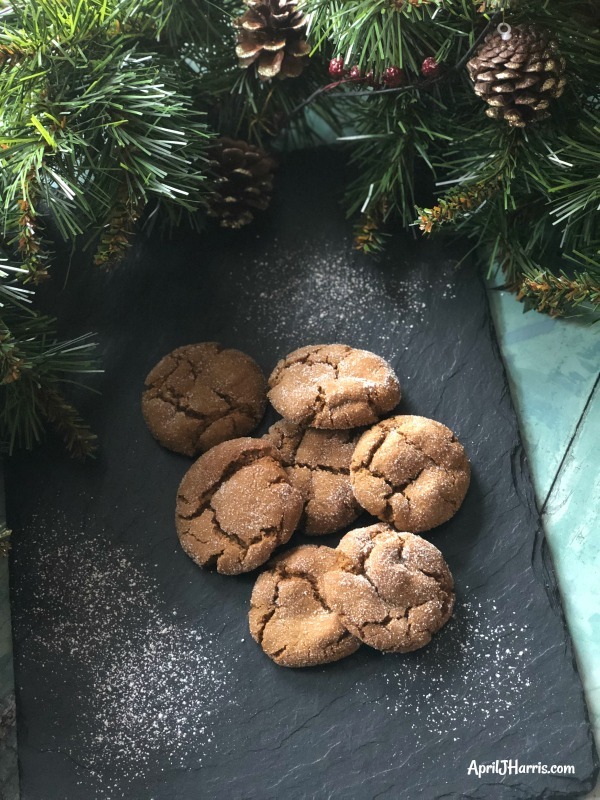 Easy to make and even easier to eat, these Orange Gingerbread Crinkle Cookies are seriously addictive and are sure to become a family favourite round your house too! Author: Adapted from a recipe by Alison of Prairie Story. Preheat the oven to 350°F (175°C or 165°C for fan ovens). Cream the butter, brown sugar and ½ cup white sugar together in an electric mixer. Scrape down the bowl with a spatula, and beat in the molasses and egg followed by the orange rind. Remove the bowl from the electric mixer. The mixture may look a bit curdled at this point but don't worry, it's fine. Sift the flour, baking soda, ginger, cinnamon, cloves and salt together and then gradually mix into the wet ingredients with the mixer on low speed. Scrape down the bowl from time to time. Blend thoroughly but don't over-mix. At this point you can chill the mixture to make it easier to roll into balls. I like to put it in the fridge for about an hour, but if you are in a hurry you can roll them up straight away. The dough is just a bit stickier. Put the ¼ cup sugar in a small,open bowl. Roll the cookie mixture into small balls about one inch in diameter, and then roll each ball in the sugar. Place the balls on ungreased cookie sheets, leaving a bit of space between each cookie for them to spread. Bake for 10 minutes. Be careful not to overcook or the cookies will become too crisp. Remove from the oven and allow the cookies to cool on the baking sheet for five minutes before removing them carefully. Cookies will keep in an airtight container for 4 or 5 days. No wonder, April, you get asked to make those pretty Orange Gingerbread Crinkle Cookies. I will head right now to the recipe. The cookies do sound so so good. These look & sound AMAZING!!! My family will adore them! Delicious cookies April it has all the festive flavors. 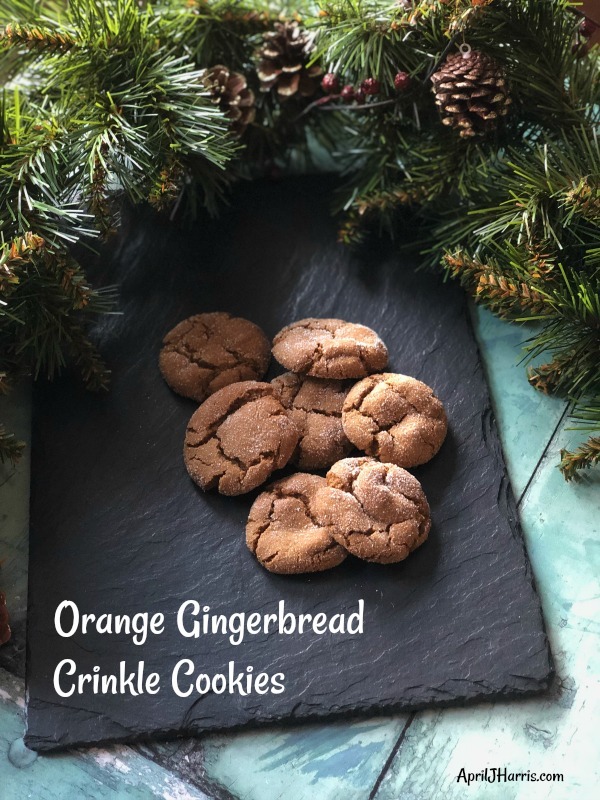 Your Orange Gingerbread Crinkle Cookies look delicious and just know they will be perfect for the holidays. I really wish I had a couple right now to go with my afternoon tea. Thank you so much for sharing with Full Plate Thursday and have a great day. I’m so glad you like them, Miz Helen! Hope you have a lovely week! These sound just perfect for holidays. Love how you added oranges. Oranges and ginger goes perfectly together. Sharing the recipe. Happy Holidays! Thank you so much, Natalie, and thank you for sharing too. Happy Holidays! The crinkle on these cookies make them look so inviting and delicious! I also adore the combination of gingerbread and orange flavors. Yum! These are really beautiful cookies! I want to reach into the screen and grab a few! Looks perfect for the holidays! Thank you so much! Beautiful pictures! Cannot wait to try this recipe. Thank you so much, Elaine! Happy Holidays! Beautiful cookies! Combining some of my favorite flavours (I’ll be adding an orange cookie to the linkup when I post Thursday). Perfect with tea! They sound so delicious and they look perfectly crinkled! Thank you so much, Shelley! I always enjoy Over the Moon. Hi April, I’m on the second steam of your Christmas Pudding recipe in prep to serve today. I am wondering if that’s a packed 1/2 cup of brown sugar in your orange ginger crinkles? Thanks, Greg. Hi April, the pudding (pardon me, as I haven’t quite picked up on the abbreviated lingo, “Christmas pud?”) was very well received at my holiday potluck. I think it was most of the guest’s first experience, though they were familiar with the term “plum pudding” or “figgy pudding”. I did follow in steeped tradition and flambe it with some brandy and serve it with Bird’s custard. It might have made it on Facebook as the phone cameras were out as I prepared it for serving – I had to dose it a second time for the flame to catch. It was a huge success as I introduced my friends to another culture’s holiday tradition, and they liked it! The orange ginger crinkles were another huge success today at my cookie exchange. I was fortunate to not have over baked so I produced the desired crunchy outside and chewy interior combo texture plus the molasses, ginger, and orange flavors were perfectly balanced. Thanks for your blog! Hi Greg, I’m so pleased both recipes were a success! Bird’s Custard is always my husband’s first choice for accompanying Christmas pudding 🙂 We do call it Christmas pud for short, but not all the time 😉 Although if a Brit is asking ‘what’s for dessert’ year round, you will often hear “What’s for pud?” because any dessert is referred to as ‘pudding’. British English is nothing if not confusing!! (I grew up in Canada.) Anyway, I really appreciate you letting me know how you got on. It’s lovely to get feedback 🙂 Thank you so much. Wishing you and yours a very Happy Christmas!